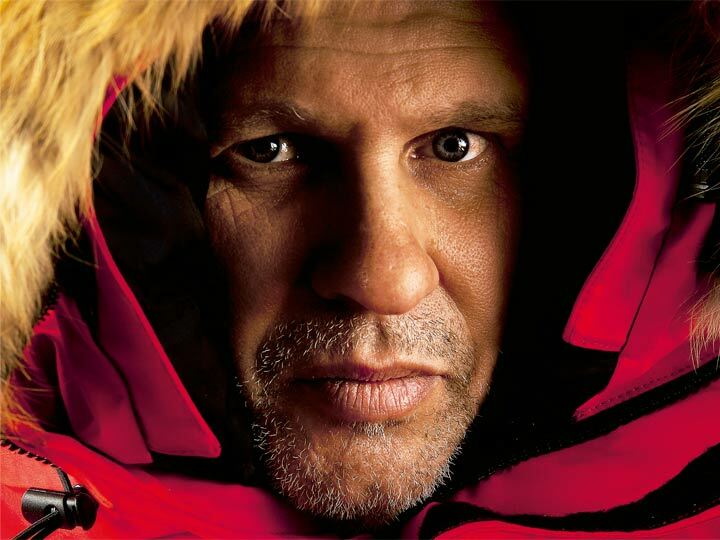 Born in Madrid in 1965, he has accumulated wide experience in polar territories and has travelled around 25.000 miles throughout his career. Leader of the most important Spanish polar expeditions carried out to date. 2005. Founder and Director of Tasermiut South Greenland Expeditions. Agency designed for trips, tours and expeditions based in Narsarsuaq, Greenland. 1997. Founder and Director of Tierras Polares. Pioneer Spanish travel agency specialised in tours and expeditions in Polar regions. Lived more than 8 years in the Arctic; currently resides between Madrid and Narsarsuaq, Greenland. 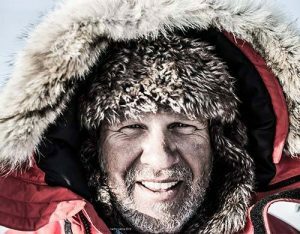 With an experience of more than 30 years in polar terrirories, accomplished and led more than 20 major polar expeditions and over 100 trips to polar areas. Specializing in traditional Inuit and survival techniques. Antarctica expedition leader on two crossings 2005-6, and 2011-12 with WindSled. First ever windpowered vehicle Antarctica crossing and route, since the 60s, to South Pole of Inaccessibility. 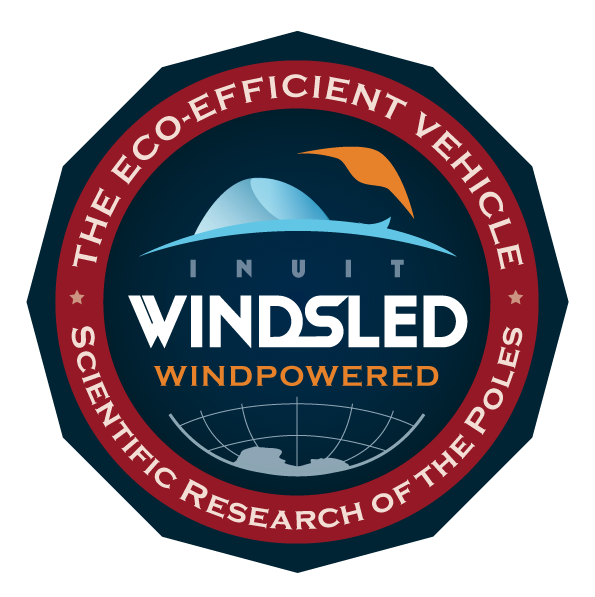 The WindSled is an ecological vehicle that combines traditional Inuit concepts with current technologies. Capable of moving efficiently through the immense plateaus of Greenland, Antarctica & other polar areas. The WindSled has traveled more than 12,430 mi in the Arctic and Antarctica in 9 different expeditions, all of which were successfully completed. It is a light mobile platform designed for scientific works. “Organic pollutants have reached remote places on Earth” by Atmospheric Environment – El Servier. Ana Cabrerizo, Ramón Larramendi, Juan Pablo Albar & Jordi Dachs. Department of Environmental Chemistry, IDAEA-CSIC, Barcelona, Catalunya, Spain; Viajes Tierras Polares, Madrid, Spain; National Center for Biotechnology, CNB-CSIC, Madrid, Spain. Nov 2011. “Legacy of Persistent Organic Pollutants (POPS)” by Ana Cabrerizo, Ramón Larramendi, Juan Pablo Albar & Jordi Dachs. Institute for Environment and Sustainability, European Commission, Department of Environmental Chemistry, IDAEA-CSIC, Viajes Tierras Polares, Proteomics Unit. National Center of Biotechnology, Nov 2016. “Snowpack observation from a circumnavigation of the greenland ice sheet” Research in geography notebooks by La Rioja university, J. I. López Moreno, M. Olivera Marañón, J. Zabalza, R. H. de Larramendi. Pyrenean Institute of Ecology, Higher Council for Scientific Research (IPE-CSIC), Zaragoza, Spain Ferrovial Agromán, Madrid, Spain Tierras Polares, Madrid, Spain. Spring 2014. Nature Journal: “Sustainability: A greener culture.” Published by Julia Rosen on 22nd June 2017. Ramon´s WindSled Project was mentioned in this article. Detection of pollutants in Antarctica: Collection of ice samples by Dr Jean Robert Pettit for three projects whose principal investigators work at the Institute of Glaciology and Geophysics, CNRS Grenoble; Institute of Environmental Diagnostics and Water Studies (IMEDEA-CSIC); and Universidad Autónoma de Madrid. WindPowered Antarctica 2005 & 2012. Monitoring of temperature and relative humidity for the validation of climatic models in Greenland: Project by the Geographer Juan Ignacio López, expert of snow, glaciers and climate change study, Department of Geoenvironmental Processes and Global Change, Pyrenean Institute of Ecology (IPE-CSIC). A meteorological AWS station was installed in the WindSled to record hourly data during the entire journey. Used for validation of simulations on different models of climate conditions in Greenland, models on which relevant reports are based, such as those from the United Nations Intergovernmental Panel on Climate Change (IPCC). Detection of microorganisms in polar air: The intention is to study the dispersion of airborne organisms at the poles using collectors that, installed in the WindSled, will travel inaccessible areas of the Arctic and Antarctica. The researchers focus on those organisms susceptible to colonize exposed places. More than 20 scientists from different Spanish and international institutions participate. The research group is co-led by Ana Justel (Dpt. Mathematics, UAM) and Antonio Quesada (Dpt. of Biology, UAM), Eugenio Rico and the meteorologists Sergio González and Francisco Vasallo of Spain’s State Meteorological Agency (AEMET). Greenland Summit 2016 and Ice River 2017 expeditions. Discharge of glacier water in oceans: “Down load mass from glaciers to the ocean: improvement of current predictions and future contributions in a changing climate” is directed by Francisco Navarro and Javier Lapizaran (Polytechnic University of Madrid.) The WindSled has allowed them to collect data along 745 Arctic miles with a GPR radar specially prepared by the team. They have obtained data from down to 82 feet under the ice surface. This information is complemented by that on the mass balance of glaciers in the Arctic. Inlandsis snow characterization: A project from the Pyrenean Institute of Ecology. First manual measurement of the thickness of the snow cover and its water content (SWE, snow water equivalent) in an itinerary of more than 2485 miles, with the objective of characterizing that snow. Directed by Juan Ignacio López. Important information to know the precipitation gradients in the region and the water content of the shallow snow cover. Data was collected every 62,40 miles. Likewise, measurements were made to obtain information on the properties of the snow cover, its mechanisms of metamorphization and the thermal conditions of previous weeks and months. For the latter, they carried a one meter long thermometer-rod. Study of cosmic rays: The objective of the Space Research Group, University of Alcalá de Henares with WindSled was to create cartography of the natural radiation environment observed along the planned itinerary of the vehicle. For this purpose, a CRIO dosimeter prototype was developed for the observation of environmental radiation and the flow of cosmic rays. The system works in an automated and independent way, requiring only one power outlet. The viability of the mobile platform was also analyzed for the development of systematic observations of the natural radiation environment in locations that are difficult to access, both in the Arctic and Antarctic, and the possibility of transporting more complex detectors with greater requirements for the study of cosmic rays. Developed during the Greenland Ice Summit 2016 expedition. The Dark Snow Project on Arctic ice contamination: Dark Snow directed by the North American glaciologist Jason Box (University of Copenhagen) is an initiative of the Geological Institute of Denmark and Greenland (GEUS), in which it collaborates with Curtin University (Australia). This project investigates the so-called ‘black snow.’ The works were performed by the Australian scientist Ross Edwards, Curtin University and the project named: “Nanoparticles in the atmosphere of the past: feedback on climate change.” It consisted in carrying out 17 drillings of holes or pits down to 49ft in depth, allowing us to know how much snow has accumulated in recent years in Greenland´s interior and its characteristics. Developed in Greenland Ice River 2017 expedition. Impact of polar routes on the human body: The WindSled expeditionary have participated in the project “Descriptive study of the relationship of the vital signs of an expeditionary in glacial routes with the climatic conditions of the expedition” from the polar specialist Dr. Daniel Pérez del Castillo, doctor of the Spanish Antarctic expeditions and member of the 061 Unit in Sabiñánigo (Aragón). It aims to know, in real time, the interactions of vital signs with temperature, humidity and wind speed graphs during the expedition. Developed in Greenland Ice River 2017. Realtime Meteorological control: In 2017 a team composed by Javier Sanz, Sergi González and Francisco Vasallo from Spain’s State Meteorological Agency (AEMET) and operating under the Ministry of Agriculture, Food and Environment, installed an Automatic Weather Station (AWS) aboard the WindSled. Throughout his career, he has received several awards such as “Year 2001”, Spanish Geographical Society & “Enterprise 2012” by Acciona. Accumulated a number of mentions in newspapers and news items all over the country and Europe, and over a hundred articles in diverse magazines and publications. DESNIVEL: “Groenlandia de sur a norte” (2002)§ National Geographic Magazine Global Edition: “Three Years Across the Arctic,” (January 1995) Appearances in 12 TV documentaries such as “Desafío Calleja” Cuatro channel and “Al filo de lo Imposible,” RTVE. He is currently a member of the Board of Directors at the Spanish Geographical Society. Ediciones La Mirada Generosa, 2011. Ramón Larramendi, Juan Manuel Viu, Ignacio Oficialdegui. First navigation across the frozen continent. Ramón Larramendi, Manuel Olivera, Antonio Martínez, Rafael Peche. The story of the Mapfre Circumpolar Expedition. 14,000 km on dog sledding and kayaking from Greenland to Alaska. Very comprehensive and exhaustive anthropological study on the Inuit world, prehistory, life before contact with Europeans, contact history and current situation in Greenland, Canada and Alaska.